CSC Services can provide a range of anti-carbonation coatings. Carbonation is one of the key factors that can detrimentally affect the life-span of an asset or structure. Structural integrity can therefore become severely compromised so it is critical to specify anti-carbonation coatings for both new and existing structures. Such products can ensure that buildings remain visually attractive throughout their lifespan and avoid costly and disruptive repair and maintenance work further down the line. A range of weatherproof, anti-carbonation coatings are available to provide ultimate protection against the ingress of carbon dioxide, oxygen and water, whilst allowing damp substrates to breathe without blistering. Fast drying water based formulations allow for quick application even in inclement weather conditions. Coatings are available in a range of finishes including smooth and textured, they are highly decorative and can be specified in several standard colours, with special colours made to order. CSC Services can provide repair services to ensure the level of concrete cover has been restored before the protective coating is installed. Call us today on 0191 401 3444 to discuss your requirements. CSC Services completed the 2017 Concrete Spalling Remediation Programme at Hinkley Point B Power Station for client EDF Energy. Over ten tonne of specialist repair mortars and structural strengthening products were used to rectify the degradation of reinforced concrete at various areas across the station. 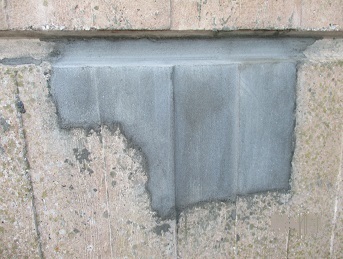 A combination of environmental exposure, water ingress and the age of the station building had caused spalling in areas including the flask bay and turbine hall. Anti-carbonation coatings were used to significantly expand the durability of structures, enabling their original design life to be achieved.